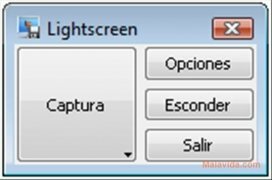 The amount of alternatives available to capture a computer's screen is enormous, because even the operating systems by Microsoft have their own one, even though it must be said that it is rather limited. 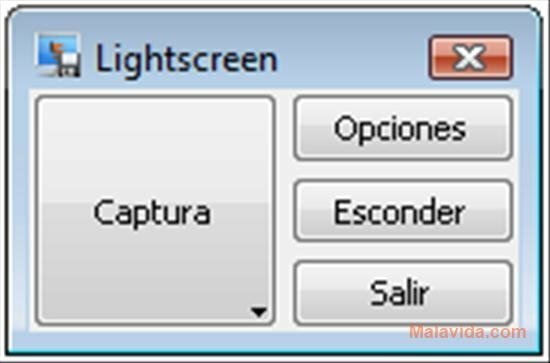 But if what you are looking for is a free screen capture app that offers many options, the best idea is to try out Lightscreen. 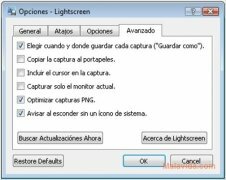 This application, unlike other similar programs, allows you to associate a keyboard shortcut to each kind of capture, with the possibility to capture the fullscreen, the active window or an area of the desktop. 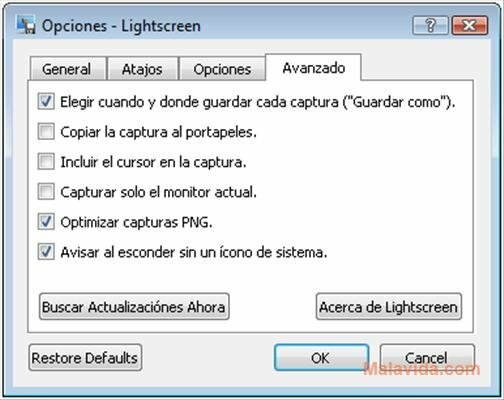 Furthermore, it also allows you to choose where each one of the captures is going to be stored, an option that will make it a lot easier to catalog the captures. 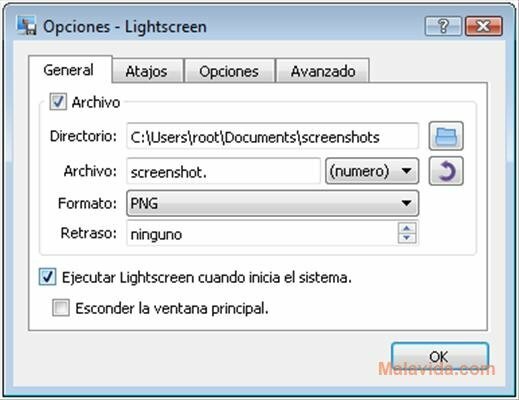 Furthermore, Lightscreen will allow you to choose the format that you want to save the resulting image in (PNG, JPEG...). 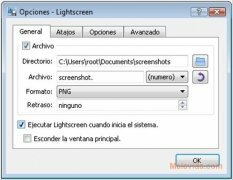 Therefore, if you need a program that will allow you to take screen captures and decide where to save them, download and install Lightscreen, it is free.